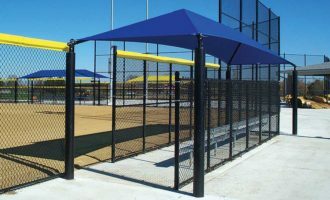 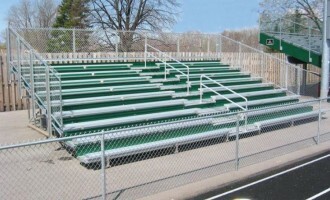 Our aluminum spectator bleachers are available in 2 or 3 rows, or with guardrails available in 4, 5, 8, or 10 rows. 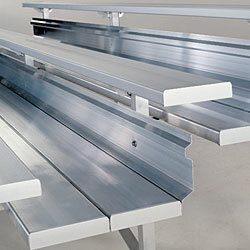 Choose from single-wide or double-wide foot planks. 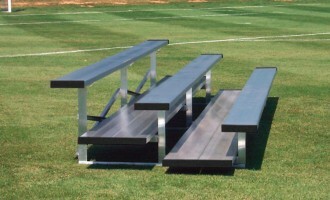 We also offer both benches and bleachers from JW Industries that come with an amazing 12-year warranty with maintenance free construction and easy assembly of pre-fabricated components.